Have you or your kids ever wondered what alumni of the Handwork Studio camps and classes are doing now, and where their love for handwork took them in life? Well, we wondered the same thing. That’s why created the “Alumni: Where are they Now?” project! This page will feature biographies of graduates (and some current members) of the Handwork Studio and give you an inside look into how they maintain their passion for the craft and whether they are currently working in a handwork related field or doing something else they love! We hope that learning about the alumni will inspire your kids to follow in their footsteps and help them see that no matter who they are, what their background in handwork is, and what they hope to be when they grow up, they can do anything they put their minds to! Check out some longer, more in-depth profiles of our alumni on our blog. Julia thinks it’s amazing that the skills she learned how to do as a student at The Handwork Studio “pretty much transferred to [her] university education...it’s pretty cool to learn something when you’re like ten years old, eleven years old, and that actually comes into your college experience.” Even though Julia was always interested in handwork, she wasn’t always sure that she wanted to go to art school. She was accepted to Temple University as a senior in high school, but then impulsively decided to apply to the Tyler School of Art and put her portfolio together in a month. “It was the smartest and the dumbest thing I’ve ever done,” she laughs. Julia’s art is inspired by “the impact that genetics play in our lives, both biologically, geographically, and politically.” She draws a lot of inspiration from her “mom’s side of the family who immigrated to the US at the turn of the century to a coal town and exploring how each generation changes but these initial industrial towns that were hubs of immigration have gone into a decline and how that is often politicized by all sides of the political spectrum.” Julia tends to work with screen prints (done on fabric) based on photographs she’s taken of the town her great-grandparents and grandparents grew up in. She chooses the color depending on the mood of the piece and is fascinated with small architectural details. Julias says it is difficult to “be introspective and not oversimplify yourself” when speaking about your own art, but that over the years she’s focused more on making art for herself and not for others. 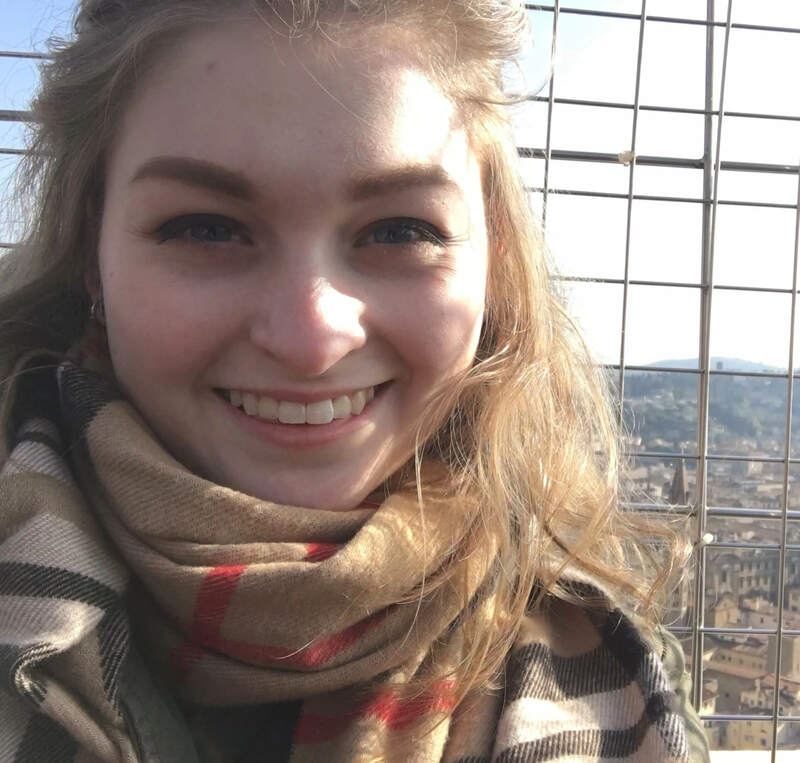 Read more about Julia Haines on our blog! Read more about Sharon Baranov on our blog! 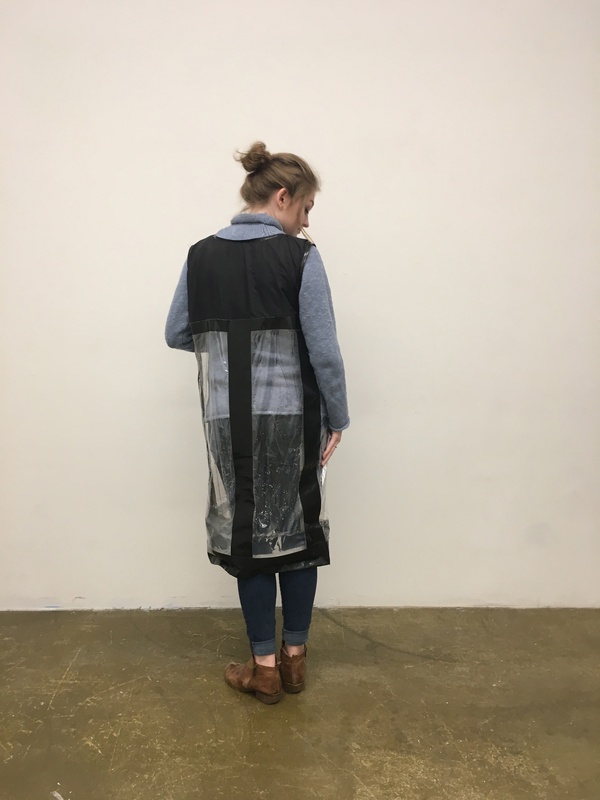 Emilie Patton is a rising senior in the Tyler School of Art at Temple University majoring in Fiber and Material Studies, just like alumnus Julia Haines. She wasn’t always sure that she wanted to go to art school, and at one point thought she was going to go to medical school and become a pharmacologist like her dad, but ultimately she decided to follow her passion and set herself on the path to do art full time. Emilie wants to be a “successful working artist,” a vision that wouldn’t have been possible without The Handwork Studio (THS). Emilie was always interested in sewing because her great-grandmother was a seamstress, and a family friend taught her to hand sew when she was six years old. THS provided a fun, social space for Emilie to learn a skill in which she’d always had an interest. She proceeded to attend a Handwork Studio class every summer, and sometimes she would attend night classes during the school year as well. 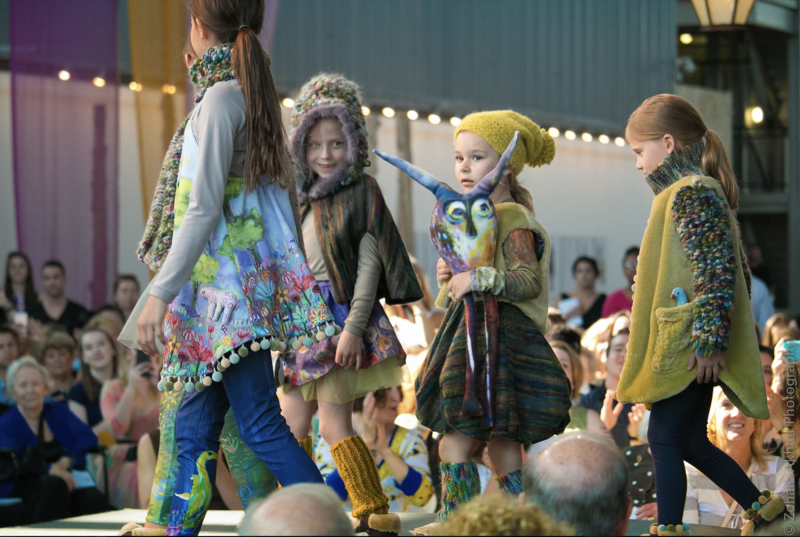 Emilie cites her experience at the Fashion Bootcamp as a “highlight of [her] childhood,” and always had a great time making garments with her good friends. Emilie even used to teach kids in her neighborhood how to sew. She would bring bags she’d made to class, and when her peers asked her where she got them, she was able to tell them that she made the bags herself! She also taught her classmates how to sew her freshman year of college, because some of them struggled with the skills. Even if Emilie doesn’t consider that a “true job,” it is telling of her skill and passion for handwork that her peers looked to her for help with improving their abilities. Read more about Emilie Patton on our blog! 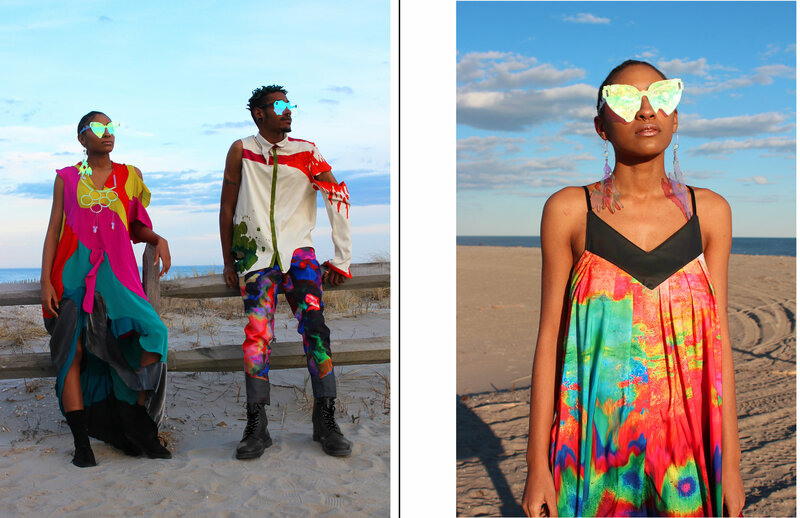 Elizabeth Marie Gee, also known as Lizzy Gee, is a 22-year-old recent graduate from the Pratt Institute in New York. 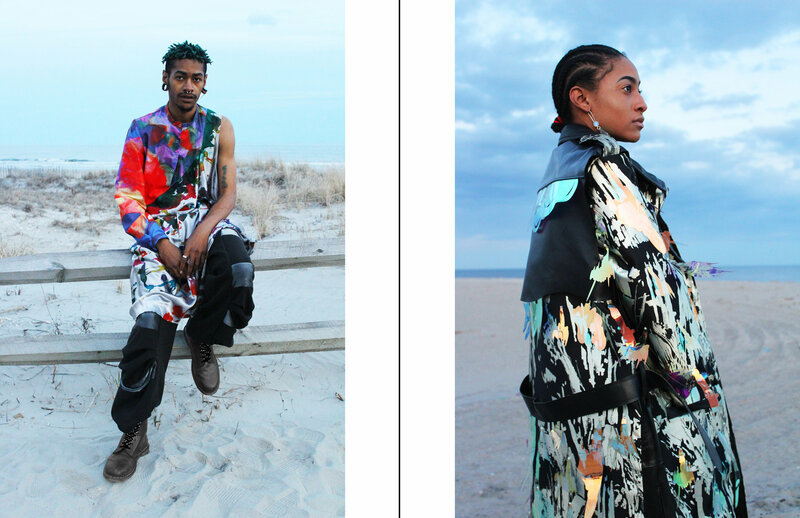 Lizzy got her BFA in Fashion Design from Pratt and is in the process of advancing her career as a fashion designer in New York City. Lizzy knew at an early age that she wanted to learn handwork and remembers that even as a child, she was interested in bringing her ideas and creations to life. Her journey at The Handwork Studio (THS) began when she was eight years old when she started taking knitting classes at the Narberth Studio. From there Lizzy did machine sewing, Fashion Bootcamp, and worked as an assistant instructor at THS, all before heading off to Pratt for college. Now Lizzy works as a head teacher at THS while she searches for jobs in the fashion industry, and credits THS for helping her develop the skill set she needed to go to university for fashion. Because no one else in her family can sew, Lizzy is officially “the seamstress of the house,” and is thrilled that she got the opportunity to be a part of THS family. Lizzy warmly remembers how kind and accommodating Ms. Alisha and Ms. Julia were when she enlisted their help in figuring out how to thread a serger, and even though none of them knew how it worked, the instructors dedicated their time and energy to sit with Lizzy for several hours and help her figure it out. 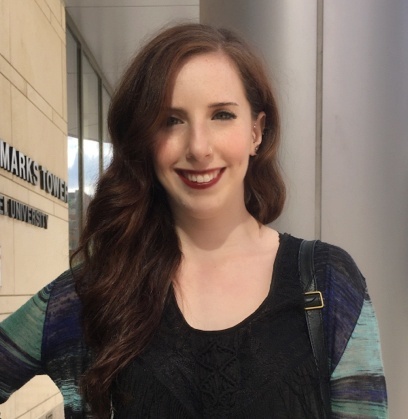 Lizzy’s professional fashion experience began when she was just 16 when she interned in the costume department at Villanova University, and it only grew from there. Lizzy interned with designer Julia Mollo her first year at Pratt, then Mara Hoffman, and finally, her idol, Christian Siriano. “When I got an internship with him,” she says, “I was like ‘I think this is the pinnacle. I don’t know how I can get any better than this.’ I just love that he does plus size too, and I’ve only ever made designs for myself, and I’ve been plus size since middle school. So it was really nice to meet someone who doesn’t care what size you are, and is going to make something nice no matter what.” Lizzy loves New York and the fact that Pratt has a campus, despite being in the city, making the move from outside of Philadelphia to NYC for school much less overwhelming. She plans to stay in the city for at least a year after graduation. Read more about Lizzy Gee on our blog! 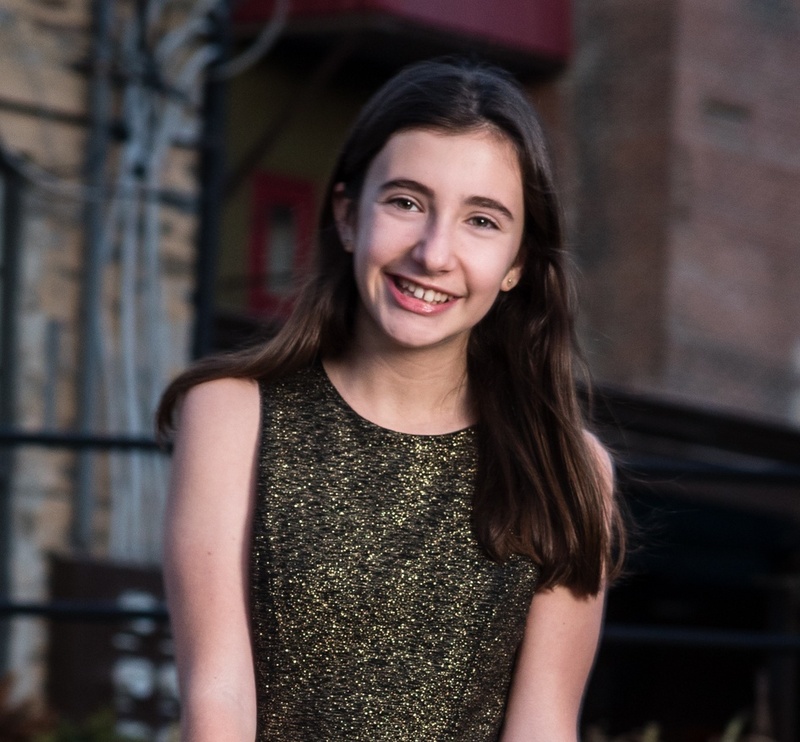 At the young age of thirteen, rising eighth grader Anna Welsh already runs her own economically and socially conscious business, right out of her house outside of Philadelphia. 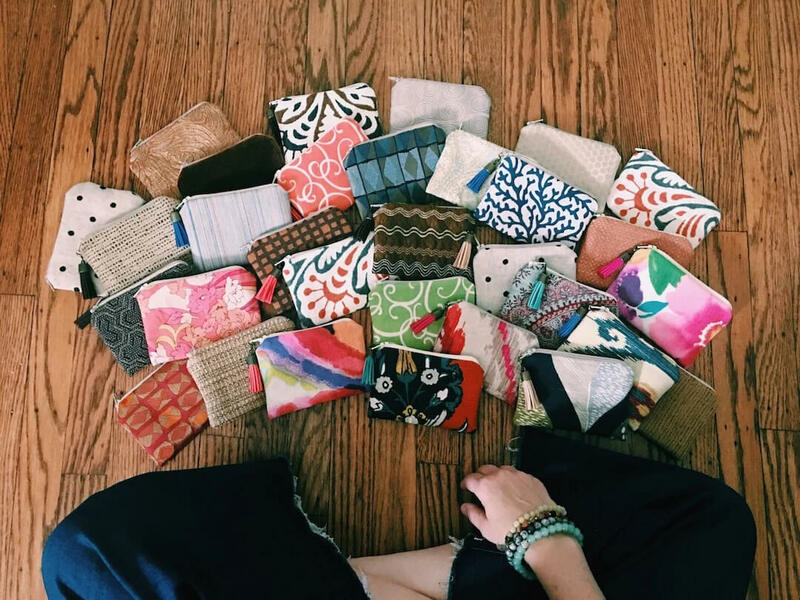 The business, which is called little bags.BIG IMPACT, sells clutches, totes, sunglass cases, and more, all made of recycled fabric. Anna even donates 15% of the proceeds from each littlebag sold to Tree House Books, a literacy center and giving library in Northern Philadelphia. Anna is already pretty amazing, and she doesn’t plan to stop here. Anna wants to be an English or History teacher for elementary school students when she grows up, and continue her business on the side, of course. Even if none of that pans, out, Anna knows she’ll still find a way to keep art in her life. 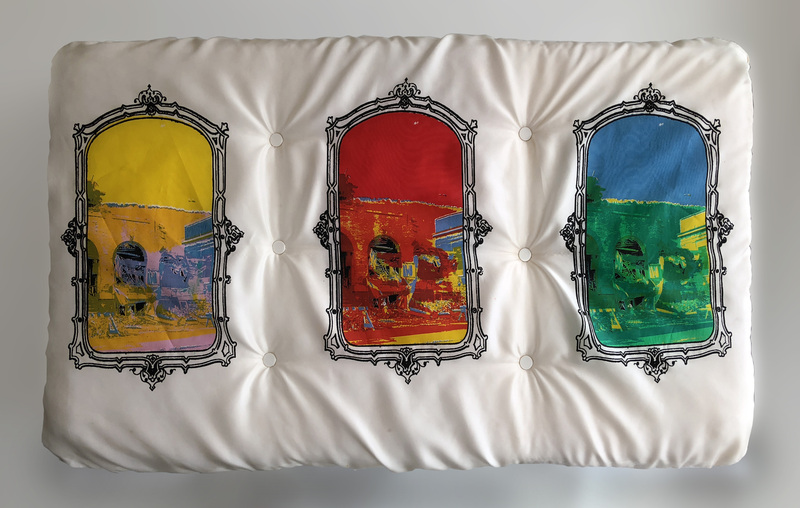 Whether that be through baking or cooking, two of her other passions, or something else, Anna Welsh is artistic at heart, and never wants to stop being creative. Anna first started handwork when her mother signed her up for classes at The Handwork Studio (THS) when she was six, and she’s been going ever since. When Anna came back home from THS camp for the first time, she told her family that “This is the only camp I ever want to do,” and she meant it. 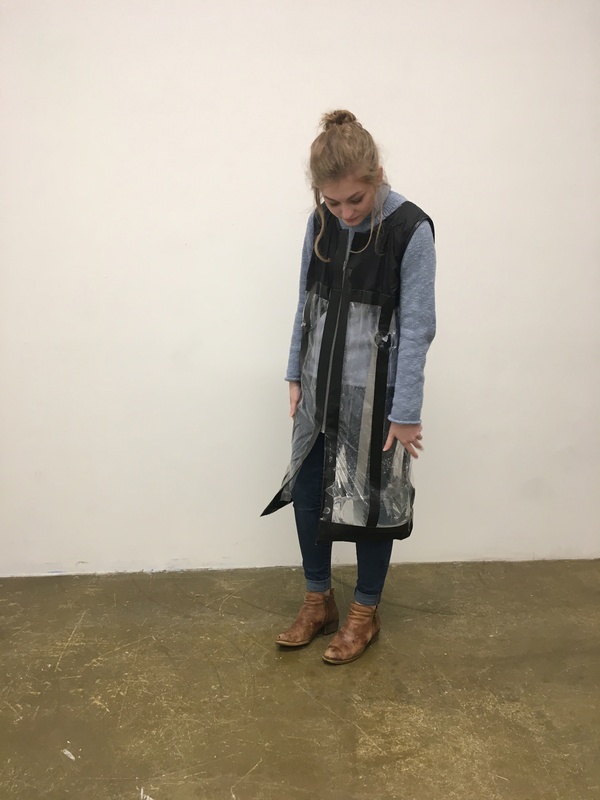 Anna has made her way through the Handwork Day Camp, machine sewing, and now Fashion Bootcamp, and she takes classes at the Narberth Studio during the school year. Once Anna finishes camps, she wants to be a counselor. She’s had fantastic relationships with her counselors over the years, and she wants to help other campers have those same experiences, and create lasting relationships like she did. 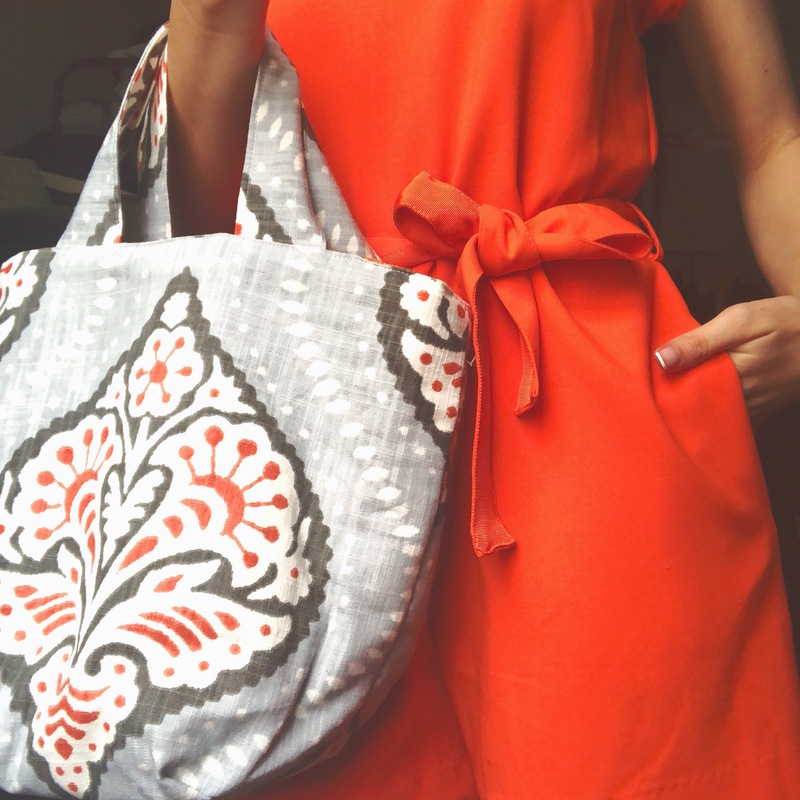 Fun, colorful prints and fabrics are part of the littlebag brand now, as well as sustainable and conscious development and paying considerable attention to the desires of her customers. Anna plans to release two new products in the next few months, one of which is inspired by customer feedback she received. One new product will be a skinny bag with a wipeable lining so that customers who expressed their desire to use Anna’s products for makeup bags won’t ruin the lining, and the other is a drawstring bag that she will call the “everyday pouch.” Anna pays close attention to fashion bloggers and current trends to both give inspiration for her work and give her a hint at what she can make that will be different from the trends. 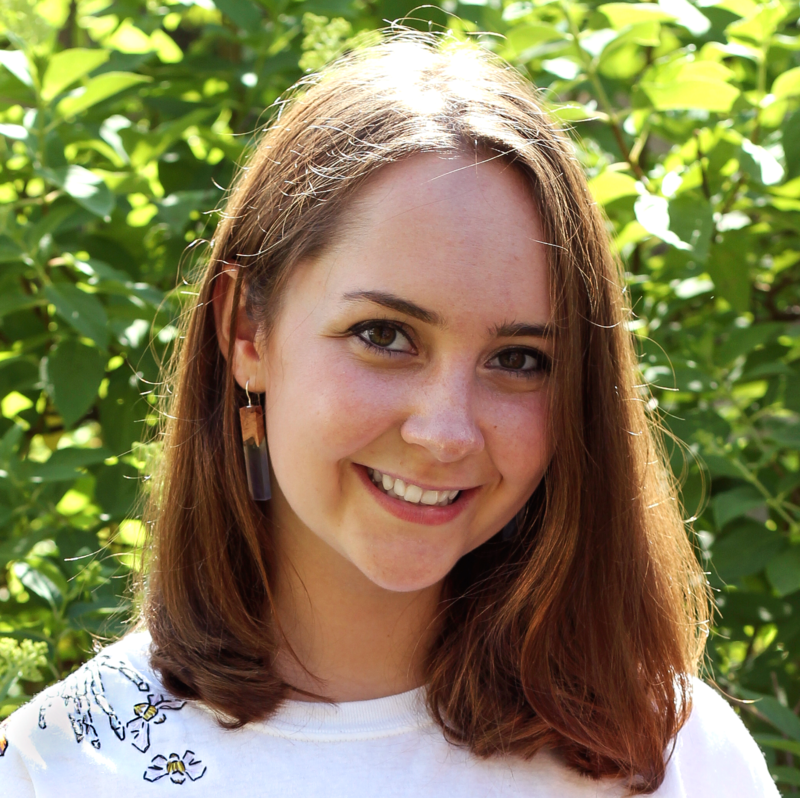 Anna hopes to continue to grow little bags.BIG IMPACT, and keep her passion for education and sustainability as essential parts of the business. She has already been able to donate $1500 to Tree House Books, an incredible accomplishment, and there’s no limit to what Anna Welsh or little bags.BIG IMPACT will accomplish next. For now, alongside her entrepreneurial life, Anna will continue to live the life of a typical eighth grader: go to school, explore her passions for baking, cooking, and embroidery, and have fun. Read more about Anna Welsh on our blog soon! 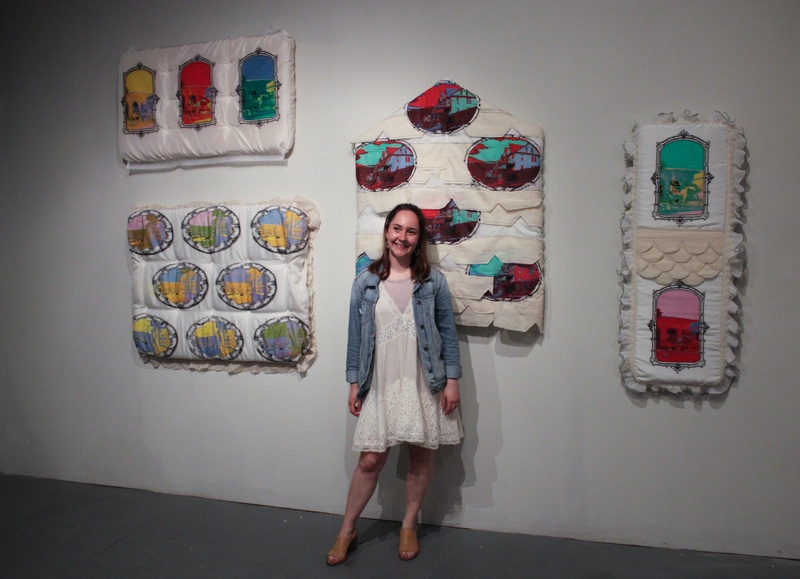 Maddy Kaplan, the last of the summer Handwork Studio alumni interviewees, has a bit of a different story than some of the others. 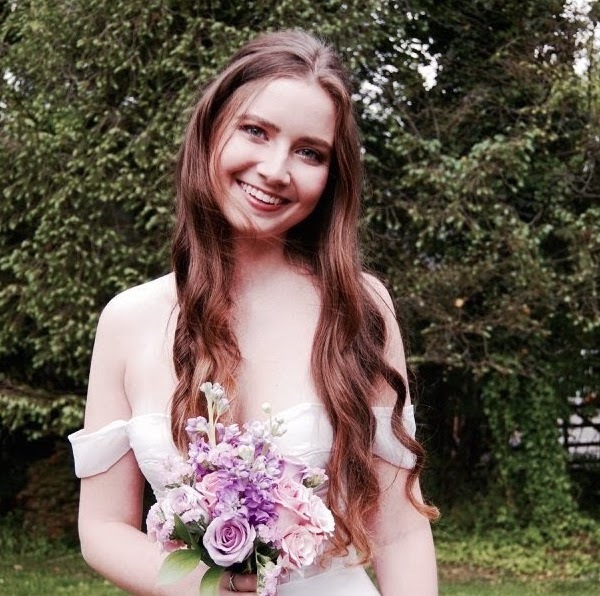 Maddy graduated from Drexel University with a degree in Fashion Design and spent a few years after college working in the fashion industry before deciding to go back to school in her new home of Norwalk, CT to get her degree in Early Childhood Education. 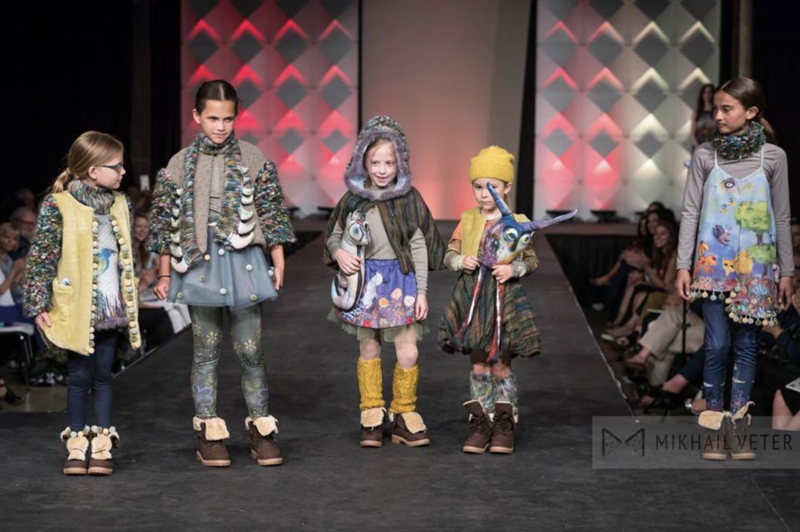 In the next few years, Maddy hopes to graduate, find a teaching job, expand her Etsy, and make more clothes, fulfilling her dream to open a business similar to the Handwork Studio someday, or maybe even create her own children’s clothing line. 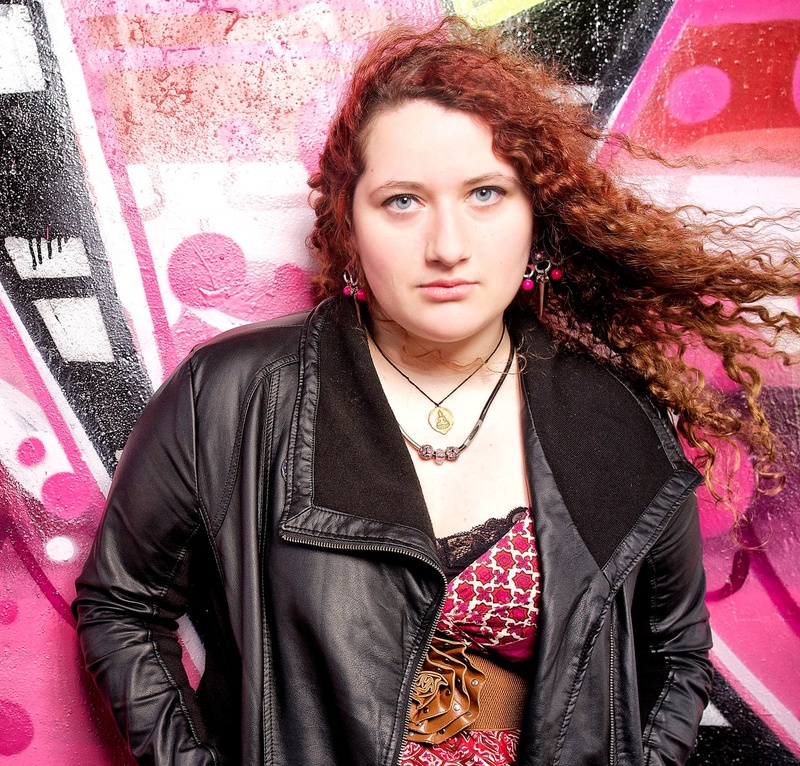 Read more about Maddy Kaplan on our blog soon!